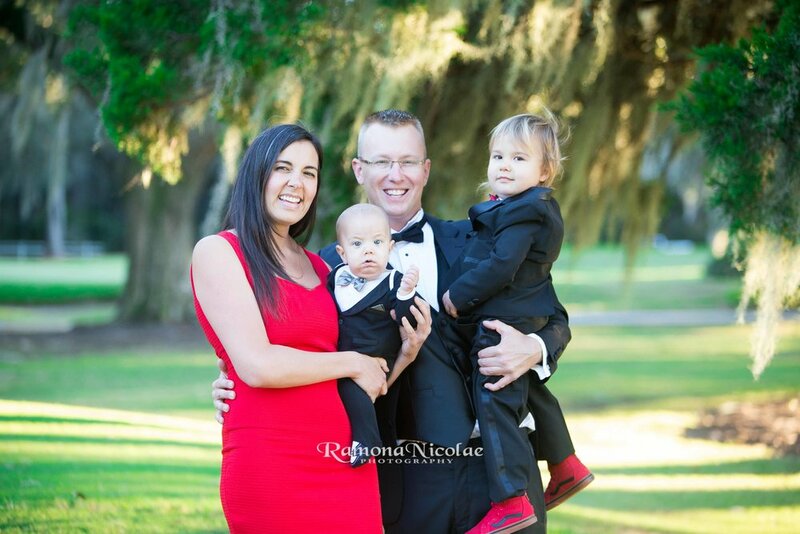 When deciding for Christmas Family Pictures Ana Marie and Adam wanted to go with a nice and elegant look on a golf course backdrop because Adam is an amazing golf player and what would be more perfect than the stunning Caledonia Golf and Fish Club in Pawleys Island , South Carolina. We had such a great time during a beautiful sun kissed sunset with live oak trees in the background and the calm inlet waters. As golfing is clearly being passed on through generations in this beautiful family, their oldest son Theo absolutely loves golfing also ! 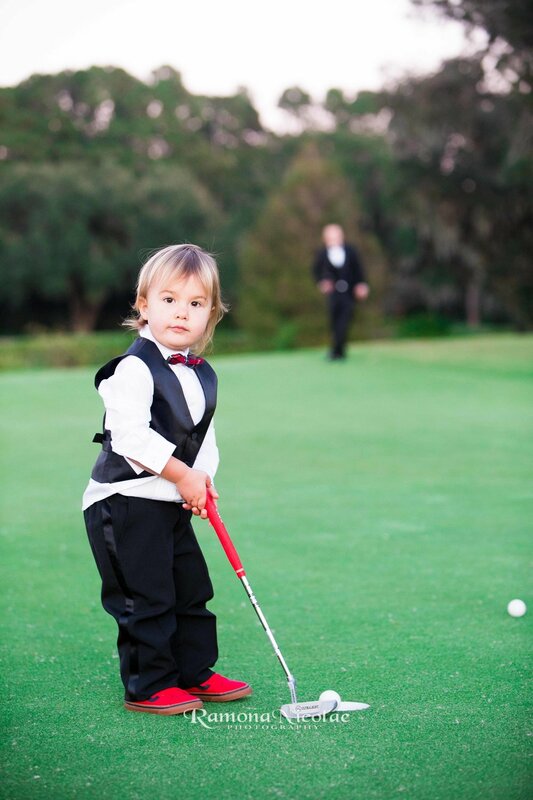 Matter of fact his second birthday party was held in Myrtle Beach on a golf course too! 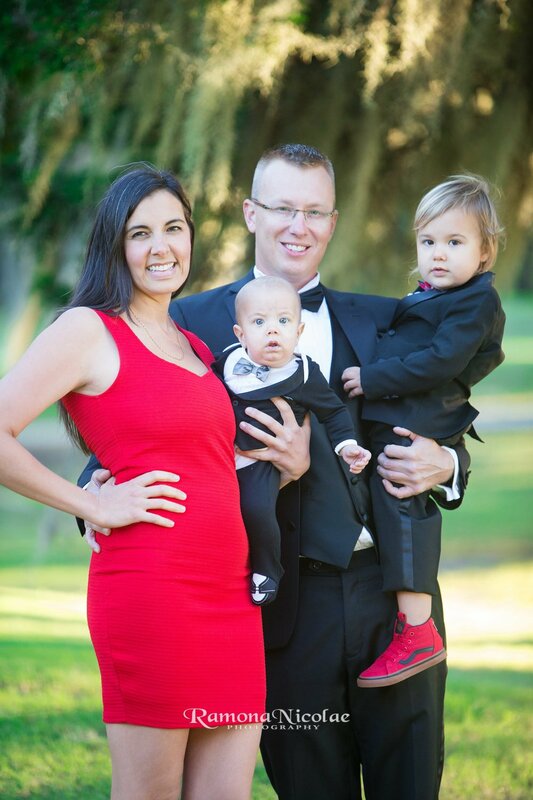 I had met Ana Marie at our local Myrtle Beach library while our sons were attending Story Time classes together and her little one, Toby J was still in her womb! 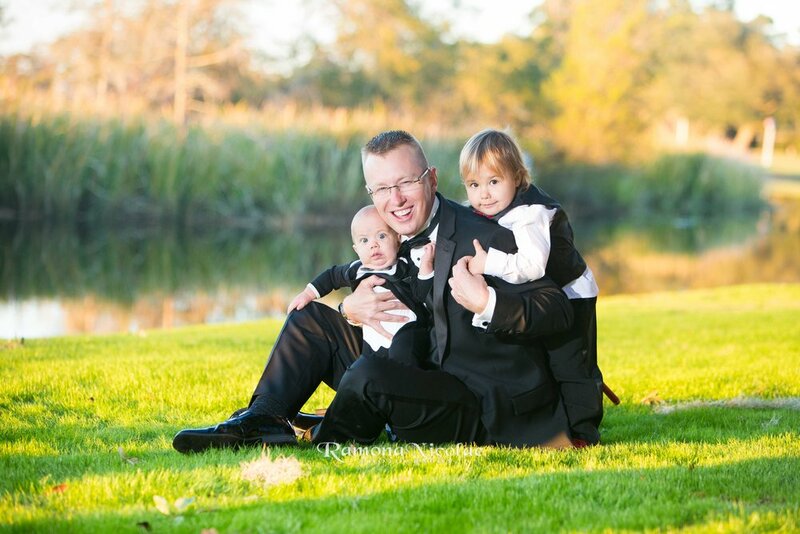 They are such a gentile and devoted family that is just such a joy to be around! During our session there was a lot of laughter in this late October evening and the kids had a great time! As long as they were promised to "play golf" later both Theo and Toby J were the sweetest kids that any photographer would want on their session! Check out these pictures and tell me.... how about those kids hugs? I mean seriously? Theo couldn't hug his little brother tighter and couldn't love on him more of he tried!! I am just in awe over these and stoked to share them with the family! !